Qigong classes are conducted by Sifu Garry and Sifu Linda Baniecki. 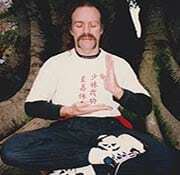 They have been teaching Qigong in Melbourne since 1998. Qigong in Melbourne teaches Medical Qigong in Greensborough. Greensborough is situated in the northern suburb of Melbourne. Qi-gong, is the study and practice of cultivating vital energy-life force. Practicing Qigong will assist to correct the imbalances accumulated during a person's lifetime. Imbalances occur from negative emotions, stress, anger, anxiety, depression and grief. Imbalances or genetic dispositions are also acquired from our parents. The Qi that regulates our entire body must flow unobstructed, like a river. If there is a blockage, Qi becomes stagnant and prevents the body from being nourished. If the Qi flows too rapidly, it causes degeneration or exhaustion of the internal organs. The practice of Qigong helps to balance these energies, filling deficiencies and removing excess. Novices first learn physical movements coordinated with breathing techniques. Individuals then practice exercises similar to Tai Chi until the movements are perfected. The next step is to find the subtle flow of energy within the postures and breathing patterns. This is called moving meditation. Among the exercises, there are many postures that are held for long periods of time. These postures are somewhat similar to those of yoga. Static Postures are practiced to strengthen the limbs and increase energetic flow. These postures are called Jum Jong. Still meditation focuses on becoming more focused with the breath, body, and mind. Qigong uses combinations of these practices to promote health and boost the immune system. Medical Qigong can also relieve headaches, sinus congestion, aches, pain, and stress. There are many forms and styles of Qigong, but, we are only concerned with the 2 below. Qigong and Tai Chi are excellent forms of exercise to help balance your life style. Persons that suffer from stress and anxiety. Give Sifu Garry or Sifu Linda a call on +61 401 530 643. This vital-life-force penetrates and permeates everything in the universe. Gong means “exercise” or “effort” and is the commitment an individual puts into any practice or skill. Qigong in Melbourne training lays emphasis on the cultivation, balance, strengthening and flow of Qi or vital energy. This in turn increases blood circulation, stimulates the nervous system and endocrine glands. Qigong regulates the physiological functions of the vital organs and balances Yin and Yang energy. Medical Qigong restores the vital energy expended throughout life. Enhancing energy will improve health, strengthening the body and promoting longevity. Sifu Garry and Sifu Linda conduct four Qigong in Melbourne workshops in Greensborough. Qigong in Melbourne workshop classes are conducted in Greensborough, a northern suburb of Melbourne. Self Healing and Relaxation Techniques. Costs: $120 for workers – $105 for concession card holders. Commit to the 8 weeks and you will understand how practicing Qigong will change your Life fore ever. Qi-Gong in Melbourne conducts medical qigong classes in Greensborough. 24 Lorimer St is a northern suburb of Melbourne, Australia. Linda Baniecki and Garry Baniecki are the principle Teachers. Qigong in Melbourne conducts 4 Medical Qigong Workshops throughout the year. Tai Chi is an integral aspect of Qigong practise, being classified as moving meditation . Tai chi and Qigong share similar ambitions with an individual’s health and longevity. Sifu Linda and Sifu Garry has been teaching various forms of Tai Chi for 20 years. Classes are conducted on Thursday mornings in Diamond Creek. Tai Chi classes are conducted outdoors, utilising the fresh air and river scenery to enhance one’s practise. There are 4 workshops throughout the year.